This book by Emilio Cueto is based on a meticulous, intensive, and prolonged investigation about the presence of the Virgin of Charity through time and her artistic representations by hundreds of authors of various genres. 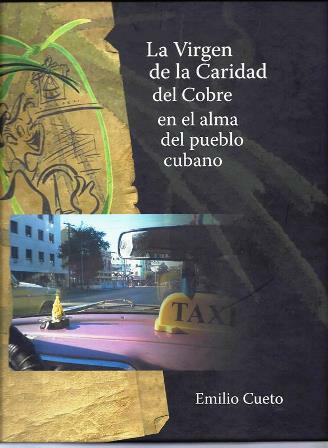 The book is essentially an overview of Cuban culture during four centuries, showing the multifaceted role of the Virgin in the island's history. Its principal chapters evidence the impact of La Caridad in the plastic arts; literature; music; radio, television, and film; and dance. It also includes an illustrated essay that chronicles the presence of the Virgin of Charity around the world, not only in various sanctuaries and churches of many cities, but also in the commercial logic of restaurants, jewelry stores, and other businesses in several continents. The author consulted more than 1,000 images for this volume, which is useful for researchers and any readers interested in the topic. Emilio Cueto is a Cuban lawyer, collector, and independent scholar. An avid collector of Cuban memorabilia, he has exhibited portions of his collection in Miami's Historical Museum of Southern Florida and prepared the three catalogs accompanying those exhibitions: Mialhe's Colonial Cuba (1994), Cuba in Old Maps (1999), and Illustrating Cuba's Flora and Fauna (2002). He has also organized six concerts of the CRI series Classically Cuban at FIU (2008-2013). The book will be presented by Dr. Uva de Aragón, former CRI Associate Director. This event, to be held in Spanish, is free and open to the public. It is cosponsored by the National Association of Cuban-American Educators (NACAE) and Herencia Cultural Cubana.